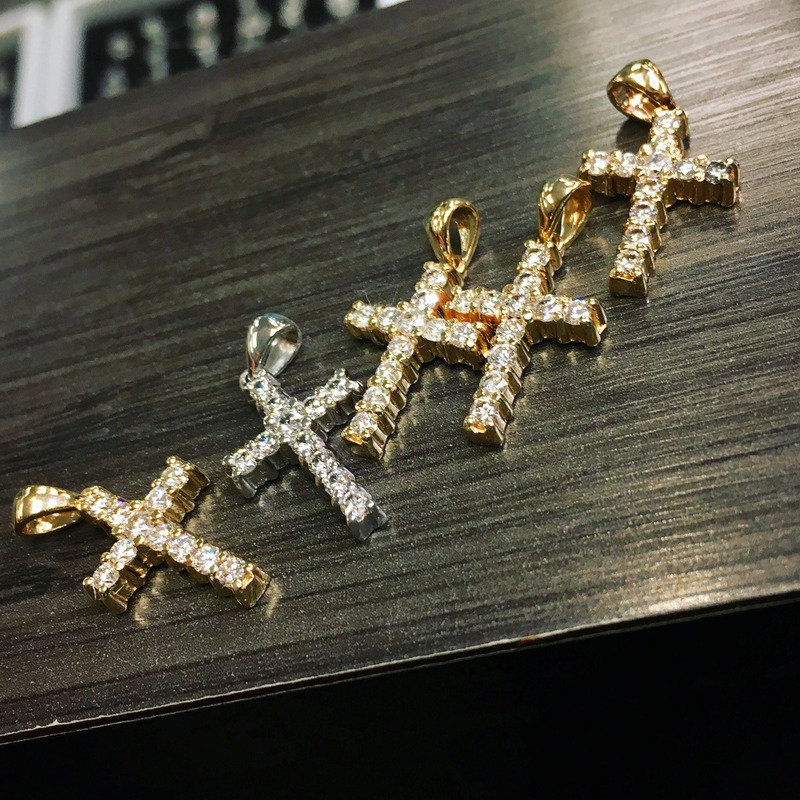 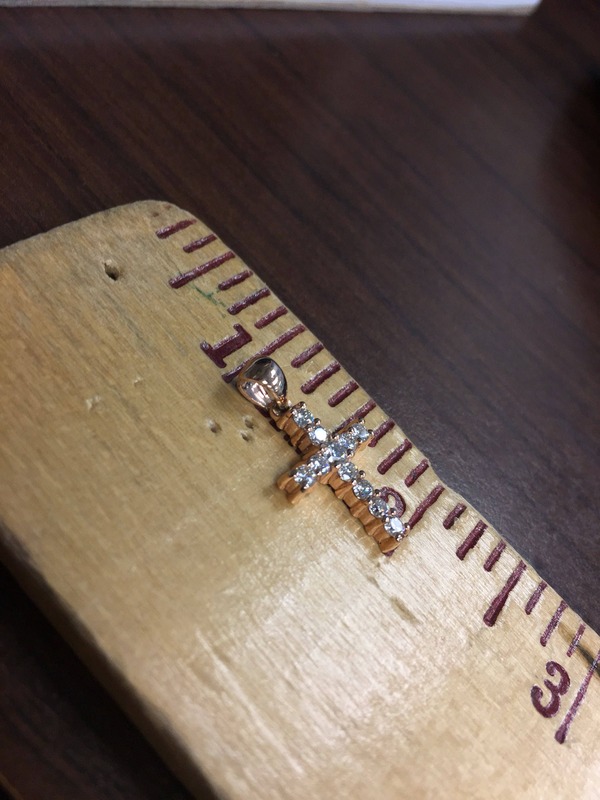 This 14K gold cross contains 0.57 cts of round prong set diamonds. 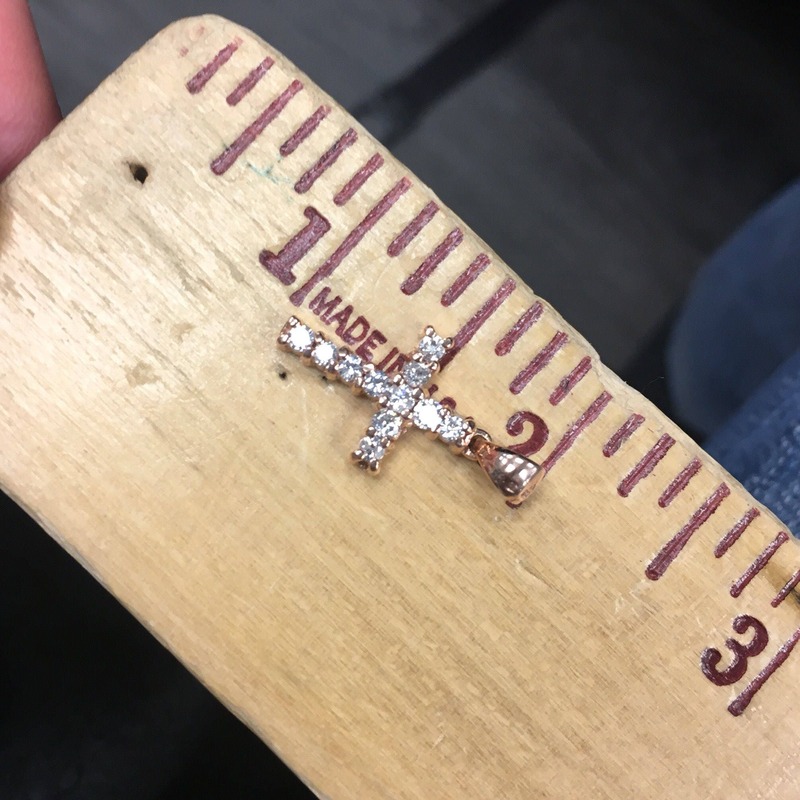 All diamonds are minimum G color SI quality. 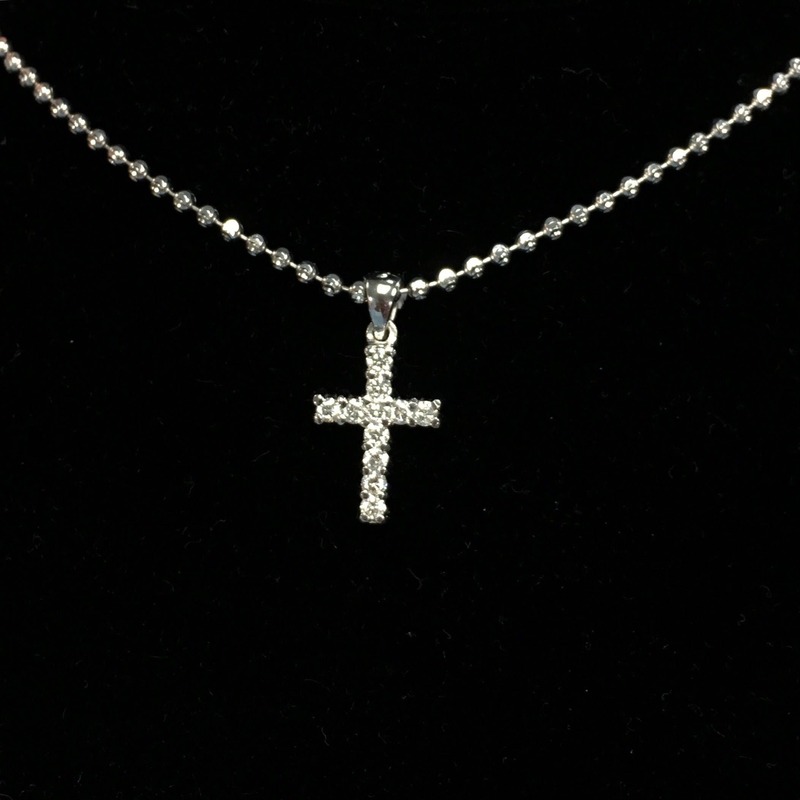 The diamond cross is roughly an inch long and half an inch wide.